Keep your members feel secure to communicate with each other using customizable messaging app. Learn more on how chat technologies work for your business! We understand that collaboration between distributed teams is tough. Using popular social messengers for work is not a great idea. Now you can communicate with your team using your own messenger tailored to your own needs. Avoid them messy communication in work by using a customised messaging app that can be accessed both from mobile & desktop. Add files and share other information such as map location and contact via chat, to centralise work discussions. Streamline your processes into a simple-to-use chat UI by integrating your chat with other systems, such as CRM, etc. Gain full control and ownership of your data by deploying the messenger into your own server. Our chat SDK allows you to build your online community platform which allows over 10 million concurrent users. Enable users to interact with one another via group chat, 1-on-1 messaging or even via public chat rooms. Rich messaging features like push notification, delivery status, and read receipts make it easy for your members to get in touch in real-time. Grow your online community without any boundaries. Enable your users to communicate seamlessly via mobile and desktop. We’re not just selling product! We value our clients by providing the best service for using our products. 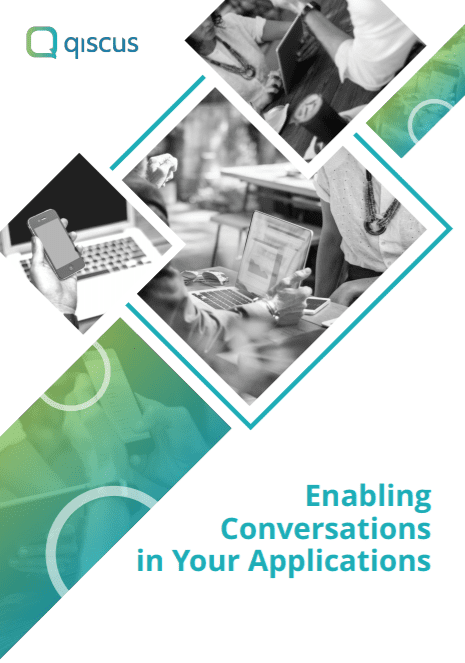 Now you can get full assistance from our solution architects and find the best ways to implement our chat SDK in your businesses. Contact our sales for further information!